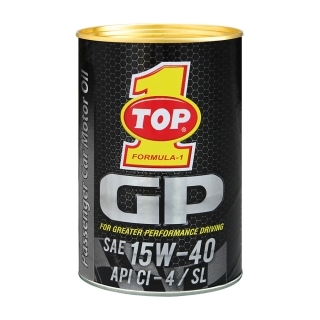 TOP 1 GP SAE 15W-40 API CI-4 / SL is a motor vehicle engine oil specially created for the car or 4-wheel vehicles with DUAL ENGINE SPECIFICATION technology so that it can be used for diesel engines and gasoline. Specially formulated using the base oil group II with very high purity 99.2% so as to prevent the formation of sludge and the crust will keep the cylinders and pistons stay clean. With high technology DUAL SPECIFICATION ENGINE TECHNOLOGY (DEST) the right to show a good performance in diesel engines and gasoline. Viscosity was appropriate in its class that is suitable for new vehicles and old vehicles to drive on load and extreme conditions. DUAL ENGINE SPECIFICATION TECHNOLOGY, can be used both in gasoline and diesel engine.